Everyone keeps talking about environmental issues, but how much do we really know about the problems nature is facing? Do we truly know how to be environmentally friendly? We’ve all heard advice like “stop cutting down trees” and “start recycling”, but do we really understand why this needs to be done? Let’s rephrase that: do we fully understand what happens if we don’t become environmentally friendly? From pollution to endangering animal habitats, environmental protection is all about preserving the planet, so the planet can keep preserving us. Take care of it, and it’s a win-win situation. On a much lower scale, it’s like living in a beautiful neighborhood, where everyone cuts their grass, trims their bushes, paints the fence, except for that one neighbor who throws the trash out in the street. Don’t be that neighbor. Be that person that does his/her fair share in preserving the ecosystem. Why Do We Need to Be Practicing Eco-Friendly Living? Deforestation causes the endangerment of the habitat of certain animals. Cutting down trees and forests without replanting others instead will lead to the massive over-consumption of some of the raw materials we often use, such as wood, rubber or essential oils. Cutting down trees means less oxygen and less natural shade. How often have you enjoyed the shade of a tree while you were walking on the urban streets? Trees also act as regular wind-blockers. Since trees store carbon dioxide, this slows down the global warming process. Forests provide about 20% of our drinking water. That’s because this particular ecosystem turns rainwater into groundwater, thus providing us with potable water. Trees can block harmful UV light. While it’s true that UVs provide us with vitamin D, being overexposed to powerful sunlight can lead to several complications, including skin cancer. Protecting plants means we have raw herbs that act as good medicine. From infections to inflammations, plants can be turned into natural medicine that soothes a variety of ailments. Farms that are placed near forests can benefit from the animals living there. For example, foxes will eat rats, just like certain birds will eat insects. A balanced ecosystem means preserving the food chain intact. There are living creatures (both animal and man) around the world that depend on the food found in forests to live. Deforestation can lead to starvation. Plastic waste often ends up in the ocean, killing several water animals. Environmental degradation can also lead to soil erosion. Because of human practice, soil erosion can lead to the unstable terrain. Polluting the water with toxic waste can lead to you not having potable water to drink or safe to bathe in. Nature provides us with beautiful landscapes. People who are often chocked by the urban scenery will find that the best escapes and holidays are those spent in the middle of nature. The tremendous amount of focus on recycling has made it difficult for people to see that there are a lot of steps to undergo before that. The concept of reducing is, just as the name suggests it, a minimization of the resources we use, the trash we produce, etc. As part of the process of reducing, you can start by reducing the number of things that you purchase. There are a lot of things that we, humans, tend to purchase by impulse. Have you ever wondered why merchandisers place gum near the cash register? That’s because you are highly likely to purchase gum as an impulse, while you are bored with waiting in line to pay for your groceries. So, before you buy a new home item, take some time to think if you really need that product. Some people suggest that you wait for 30 days and then rethink your purchasing decision. During this trial period, you may actually realize you don’t need whatever item you were planning to get. But if you do buy stuff, try to think about the impact that the production had on the environment. How will you get rid of it when you don’t need it anymore? Can it be done in an eco-friendly manner? Another common practice for reducing is to buy second-hand products. Even with some people will tell you that’s not beneficial to the industry and economy, thrift shops are not doing all that bad. You can buy anything from electronics to second-hand clothing and by doing so, you are reusing something instead of encouraging the production of more stuff that’s negatively impacting the planet. Third, try to replace the products that you use at home with reusable ones. For example, when your printer runs out of ink, how about refilling the cartridges instead of purchasing new ones? There are a lot of home-used products that we replace instead of reuse, from coffee filters to batteries. If reducing is something you’re interested in, how about you start experimenting with Earth hour more often? Pick a day and an hour every week and spend it without using electricity and without buying stuff. Turn off the lights, the TV, your phone, your laptop and go outside for a walk. Read a book. Have a romantic candle-light dinner. Do something else rather than consuming electricity. Have you ever taken any interest in DIY projects? Truth is that you can reduce by replacing some of the items you buy with some items you can make yourself. This way, you are controlling the number of materials used in a way that’s beneficial to the planet and to you (since you are engaging in a DIY project, you will have a fun way of spending some of your free time – other than binging on Netflix). Sharing/borrowing is also a wise choice when you want to reduce. You can exchange anything from books, CDs, games, magazines, etc. Also, if you happen to need a specific item that you don’t use on a regular basis, consider borrowing one from your friends. Saves you money and saves the environment. There are some environmentalists that have made it their mission to avoid using any sort of product that’s manufactured from the cutting down of trees. For example, napkins and paper towels. And, basically, anything that’s paper. You can use cloth towels, which are easy to wash and reuse. When you write something down on a sheet of paper, consider reusing the blank space instead of just throwing that piece of paper away. Reusable message boards are a super cool way of writing down stuff, erasing it when no longer needed and then writing down some more. There are tons of ways to reduce paper usage inside your home. If you’re working on some home improvements that require wood, you can consider replacing it with things like bamboo or strong wood. Also, take into account the fact that some of the coolest DIY home projects imply the use of previously used wood. While it may not seem all that big of an issue, shopping bags are actually encouraging a lot of waste. Consider purchasing a reusable canvas shopping bag, made of fabrics, that will last you longer and that you can take with you every time you go shopping. Another thing you can add to your “reduce” list is plastic straws. As you know, there was an alarming statistic that showed that in the US alone, about 500 million straws are used daily, which leads to a total 175 billion straws discarded each year, with most of them ending up in waterways and oceans. Needless to say, there are endangering the lives of so many sea creatures, that a worldwide campaign was launched, with the purpose of getting the global population to avoid straw usage. With the same principle in mind, you should avoid using plastic cups as much as possible. You can purchase a small thermos or carry a mug with you wherever you go so that you can avoid consuming beverages that are sold in plastic cups. One last reducing tip: purchase only the items you need and purchase them in bulk. Let’s take this one idea at a time. First of all, we tend to buy more than we need and end up throwing food away. If you happen to live in the proximity of a grocery store or a convenience store, try to purchase less food and then go out and buy some more if you run out. In order to avoid going shopping several times during the week, we buy food that eventually goes bad. Throwing it out, we create unnecessary waste and we end up losing money. Purchasing things in bulk has 2 advantages. First, bulk products have a cheaper price per unit and you can avoid package waste caused by purchasing products packed for a single use. You can buy a lot of things in bulk: from cat food to toilet paper. Reusing products is a wonderful mean to live an eco-friendly life, mostly because we are very tempted to throw stuff away once it’s broken or becomes obsolete. And why not? There are so many techy gadgets that we use and that have become super affordable, it sometimes seems that buying a new product is the wisest thing to do. Even if you think that you don’t own that much stuff, so there’s not really much to reuse, think again. You have a lot of products around the house which are disposable and could easily be replaced with reusable ones. 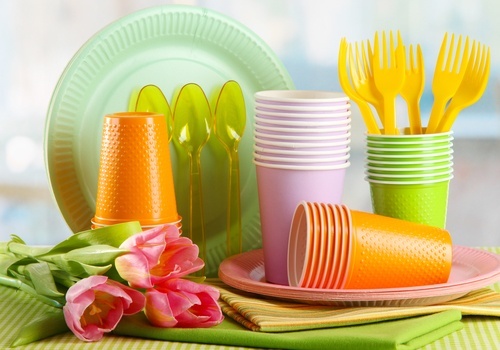 For example, you could stop using plastic cups and plates each time you’re having friends over for a barbecue. You can purchase reusable towels and replace them with the paper ones you have in the kitchen. You can switch to reusable razors and shopping bags. You can even buy rechargeable batteries that either requires a special charger or are solar powered. If you’re looking to buy reusable items, don’t be afraid to check out garage sales. You can find anything from lamps to cool vintage furniture. Donations play a very important part of the reuse process. Instead of throwing stuff away, consider donating it. There surely are charities that could use those old clothes you stuff in the back of your closet and say you’ll wear, but never do. There is surely someone out there who would much rather repair that cell phone you broke and use it instead of investing money to buy a new one. You can donate pretty much anything that you can think of. And if there’s anything you want to get rid of, but can’t find a place or a person to donate it to, there’s always the internet. Sell it on eBay for a moderate price. 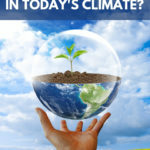 You’ll be earning some cash and contribute to saving the planet at the same time. Books are also subject for reuse. Instead of buying new books, how about borrowing some new titles from your friends, relatives, and neighbors? You can trade book titles, so you will always have something new to read. Amazon’s Kindle is also a cool gadget that allows you to buy and read electronic books instead of hardcover or paperback. Remember, there’s always the choice of borrowing books from the local library. The same thing can be done with old magazines. Recycling is a process that needs no introduction. However, there are countries that make recycling so hard, some people just don’t allocate their own resources to do it. But understanding the importance of recycling should be motivation enough to dispose of your trash in the proper way. 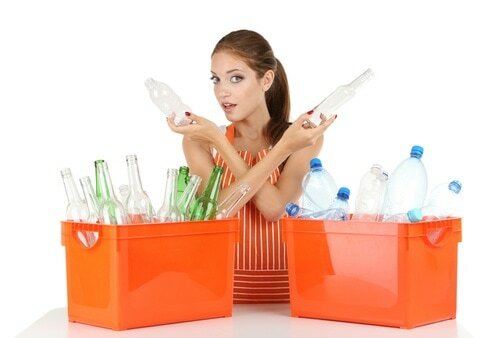 Let’s start with the most important step in recycling: separating your home trash. You should have separate containers for plastic, paper, glass, metal and food waste. If you live in a house with a small yard, you can find a corner to allocate space for placing trash containers for each category. If you can’t afford this luxury because you lack the space, just use smaller trash containers. If recycling your regular home trash is easy, there are certainly other things that you’ll want to dispose of eventually and these are a bit trickier to handle (tricky, not impossible). You can recycle batteries and cell phones. There are several pick-up battery collection points that are generally placed in supermarkets all over the world. With cell phones, it’s a bit more complicated, as there are different regulations from one country to another. Large home appliances can also be recycled, but you have to know who is responsible for this in the area where you live. There are stores that will buy back your old fridge or washing machine and will give you a discount coupon for the purchase of a similar household item. If you’re renovating your home, you may need to get rid of building materials no longer needed (like paint cans or rust removers). Pesticides and insecticides (and pretty much everything that contains chemicals) is considered to be hazardous waste and will require getting in touch with a facility that can handle that. Here’s another very important thing: did you know that you should avoid throwing old medicine in the trash? Yes, medicine is not considered regular home waste and to dispose of it, ask around your local pharmacy, as they generally collect old medicine to dispose of it properly. Although the best case scenario is to cut technology out of our lives, that’s not going to happen. We need it for basically everything, from work to relaxation. It became part of our lives, part of our routines, just as much as drinking coffee or taking a shower. But there are a few things we can do to preserve energy to a point where we’re not massively contributing to waste. How about hitting that “off” button when you’re not using the TV? It’s a very common practice to fall asleep while watching a TV show, thus leaving on the TV to run for about 2 more hours until it automatically turns off. Not only does that pump up your electricity bill, but it’s not even healthy to fall asleep with such technology running in the background. If you’re looking to take things up a notch, how about switching to eco-friendly electronics? They are energy efficient, which means that you can end up saving a lot of money on electricity too. Here’s another thing: if you have the possibility, you can switch to a provider with 100% renewable energy. Sadly, this is not a world-wide available option. A very important part of living a more eco-friendly life involves reducing your overall energy consumption. This can be a difficult process, as it will require changing some of your daily habits and messing with your routines. But there is always room for change and you just might be using more energy than necessary. You can start off small, by switching all your regular light bulbs to energy-saving LEDs. They are massive contributors to energy savings. As much as possible, avoid turning on the lights during the day. Instead, look for a way to benefit from natural sunlight as much as possible. Not only is it more economical to do so, but it’s healthier for you to avoid the blue lights emitted by LEDs. Did you know that washing your clothes with cold water drastically reduces the energy consumption of your washing machine? Avoid leaving your appliances in standby mode. This consumes energy even if you think it doesn’t. Instead, completely turn off a plugged-in device when you’re not using it, such as your computer or your microwave. We all have a nasty habit of leaving cell phone chargers plugged in even when we’re not actually using them. That’s a major waste of energy in most households. Try to purchase energy-saving appliances. Even if they are more costly than others, major energy savers are a great choice for eco-friendly people… and for those looking to save some $$$ on their next electricity bill. And then, there’s the delicate issue of abusing water consumption. We waste too much water. Even if we think that a vast majority of the Earth’s surface is covered in water, only 3% of this total is actually fresh water, so you can imagine how important it is to preserve it as much as we can. There are lots of tricks you can apply to avoid wasting water. For example, when you turn on the kitchen faucet, try to keep the pressure to a minimum. You can replace your toilets and shower heads with low flow models. You can make sure that you wash laundry and dishes only with a full load, to avoid water waste. You can water your plants at night, as daylight water leads to massive evaporation due to heat and direct sunlight. You can unsubscribe from receiving magazines and junk mail so that you can avoid the need to cut down more trees. Besides, most of your favorite magazines are now available online, so why do you need them in physical format anyway? Since most of your service providers allow you to receive your bills via email, you no longer need them delivered by mail. Using public transportation is a very underrated mean to save the planet. It’s always better to have 1 bus with 50 people on the streets rather than 50 different cars. Ride the bike. It’s healthier and more eco-friendly. Plant trees. Whenever and wherever you can/are allowed to. Deforestation is a phenomenon growing at alarming rates and if we can do something about it (something as “small” as planting trees in our own backyard), then we shouldn’t hesitate. Littering is another factor that is contributing to the damage humans cause to their planet. Instead of throwing something on the street, put it in your purse or pocket and dispose of it at the nearest trash can. Take it home with you if you have to. Just don’t throw it on the street. Not only is it dangerous for the environment, it’s also unsanitary to have to walk amongst other people’s trash. Clean up after yourself everywhere you go. It doesn’t matter if you spend your weekends at the beach or enjoying a nice picnic in the park. Pick up your trash before you leave, making sure that you set an example for the others around you. Believe it or not, insulating your home can go a long way on so many levels. Insulation keeps your home warmer during the winter, which results in better comfort for you and less heat consumption to benefit the planet. From carpooling (to reduce the consumption of gas and the emission of carbon) to taking shorter showers, there are almost endless things we can tweak in our everyday routine to avoid the slow and painful murder of our planet. Being environmentally aware is not only something we should force into our daily lives, but it’s also an example that we should set for those around us and for the generations that will come. Even something as simple as sorting out different types of trash into separate bins and properly disposing of old electronics can make a huge difference. The problem is that most people see all the environmentally-friendly actions as chores and, to some extent, they actually are. People are not that easily motivated to do something unless the results are immediately visible. That’s why, in several countries on the globe, recycling is rewarded. For example, in some countries, authorities have installed special machines that give out modest sums of money for each plastic or bottle recycled. Just insert your trash and get your reward. This is somewhat sad: as we only care for our planet if we are financially motivated. In other countries, there are public dispensers that give out food for stray cats and dogs for each recycled bottled. The problem is that in most corners of the world, recycling and motivating people to become eco-friendly is not on the local authorities’ to-do list. Psychologically speaking, people are more motivated to act out of fear of losing something than out of a desire to gain something. One can only wonder: isn’t the fear of having an unlivable planet strong enough?